Did you somehow miss Rogue One: A Star Wars Story while it was in theaters and have yet to borrow a Blu-ray copy from one of your friends? Well, you're in luck, as long as you at least have a Netflix subscription, that is. 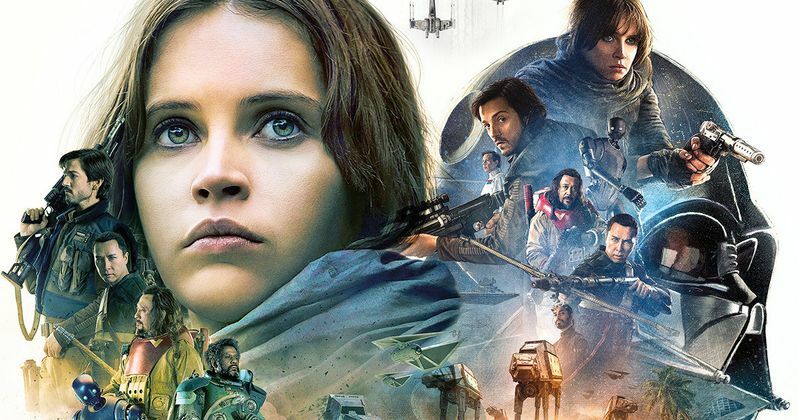 Thanks to a deal that the streaming service has with Disney, Rogue One is set to arrive on Netflix next month, meaning that you will be able to watch it as many times as you want without having to pay anything extra. The Netflix YouTube Channel uploaded a video detailing all of the new releases that subscribers can look forward to in July. The video confirms that Rogue One: A Star Wars Story will be arriving for everyone to stream on July 18, just seven months after the movie initially arrived in theaters. Not bad. This also marks the first Star Wars movie to be made available to Netflix subscribers in the U.S. Star Wars: The Force Awakens is available in many regions, but because of a deal that Lucasfilm has in place with Starz, it isn't yet available for those in the states. In September of last year, a deal finally kicked in that was made between Netflix and Disney several years ago that gives the streaming giant exclusive rights to all new Disney movies. That includes Star Wars movies, which is a big deal these days. The movies will be available exclusively to stream on Netflix for the same period of time that they would usually be shown on standard cable TV. That means the movies will eventually find their way to more traditional outlets, but it will be a lot longer than usual. Netflix is reportedly paying hundreds of millions of dollars per year for the rights to all of Disney's theatrical releases from 2016 and beyond, so this didn't come cheap. But having movies like Rogue One in their streaming library so quickly is a big leg up on the competition. There have been whispers that Disney is actually considering purchasing Netflix, which would be a massive deal. That would just mean that even more Disney movies, including Star Wars, would wind up on Netflix. For users of Netflix, things like Rogue One being made available quickly is very important. Disney has been making the most financially successful movies in Hollywood, very consistently, for years now. So Netflix ensuring that people can get access to those movies quickly, especially considering how expensive it is to go to the movies and how expensive Blu-rays are, matters a lot. Rogue One: A Star Wars Story was a very important movie for the Disney era of Lucasfilm. The movie grossed $1.05 billion worldwide and was met with mostly positive reviews. That helped prove that a Star Wars movie not connected to the Skywalker saga, save for a little bit of pretty sweet Darth Vader action, can work. You can check out the full list of titles arriving on Netflix in July for yourself in the video below.